Planning your vacation is an exciting time. Camden Maine and the surrounding areas have so much to offer. I have compiled a list of items to help make your planning a little easier. The Captain Swift Inn is an ideal starting point for all daily excursions. The Inn’s downtown location makes walking to the harbor, opera house, restaurants, and boutique shops easy. The location of the Town of Camden Maine, exactly halfway between Portland and Bar Harbor make it an ideal stop for summertime drivers. Whether you are here for a night or a week, there are lots of things to do. From hiking to lighthouses, to shopping, to art galleries there is something for everyone. After you have enjoyed a candlelit breakfast at the Inn, head to Camden Hills National Park for a morning of hiking. Our favorite trail is the Carriage Trail. The Carriage Trail is accessible from Rt 52, Mountain Street. We enjoy this trail because if you follow it to the Carriage Road Trail, it is a gradual incline that culminates at the top with the stone lookout tower. The trail is approximately 1.5 miles, round trip 3 miles. You can be up and down in little over an hour. When you get back into town, refresh at the Inn and get ready for the afternoon. Day one we highly suggest you stay by the water, either on the water or near it with a cocktail. You can choose from many daysailers in Camden Harbor, Rockport Harbor or even Rockland Harbor. Each harbor is unique in its landscapes. If you choose to stay in Camden Harbor, you might want to go down to the landing and look at the boats and see what boat you prefer. Each boat has its own characteristics and entertainment. Three daysailers we enjoy are Schooner Olad, Schooner Surprise and the Appledore. In Camden, there is both lake kayaking and ocean kayaking. For the lake kayaking, you will need to rent a kayak from Maine Sport Outfitters and either have them deliver the kayak to a launching point or put it on top of your car and drive it to the launch. We really like Megunticook Lake for kayaking. BogsBridge on Rt 105 is a great place to put a boat in the water. If you kayak straight out from the launch, you will hit Land’s End. Land’s End is a hidden gem that the locals enjoy. If you want to ocean kayak, you can also rent a kayak from Maine Sport. The Camden public ocean launching point is at the end of Sea Street. It is suggested that if you have never ocean kayaked before that you hire a guide from Maine Sport to show you how to navigate the harbor and open seas. For your first night in Camden Maine, treat yourself to a special dinner at Hoxbill. The menu is sophisticated and the views are fantastic. The restaurant is a short walk from the Inn. On Day 2, venture out to the surrounding towns. Rockport, Rockland, and Lincolnville are a short drive. Each town has its own special places. Lincolnville is known for their beach area and winery, Rockport is known for its beautiful harbor and fantastic walking trails and Rockland is the art capital of Maine. Rise and shine at the Captain Swift Inn and enjoy a cup of coffee and a full breakfast. The towns of Lincolnville, Rockport and Rockland are all nearby and you could potentially go to all 3 towns in one day. After breakfast, head to the town of Lincolnville. Drive North on Rt one. Lincolnville Beach is approximately 15 minutes away. Once at the beach, you can sit and watch the boats, or stroll in the little beachside stores. The beach is a real treasure at low tide. You are able to walk out far and admire lots of little tidal pools of water. If you can, plan this trip at low tide. When you are done admiring the landscape of Lincolnville Beach, head inland to Cellardoor Winery. The Winery is a short drive into the hills. The winery is a great place to have a light lunch and sample some of the local wines. Next, as you head out of Rockport into Rockland, stop off and see the Breakwater Lighthouse. The Breakwater Lighthouse is a mile walk on a granite jetty. Get your cameras ready for some awesome selfies. The harbor surrounding the jetty is alive with lobsterman and fisherman collecting their daily traps. The harbor is a true working harbor and it is fun to see the day to day activities of those that fish there. The little downtown of Rockland is full of art. There are galleries and museums in downtown Rockland. Spend the rest of the enjoying the Farnsworth Art Museum and the Center for Maine Contemporary Art (CMCA). The downtown is lined with cute restaurants and boutique shops. My favorite restaurant in downtown Rockland is Suzuki. For a real authentic and fresh Japanese dinner, treat yourself to this restaurant. You will need a reservation. At the end of the day, retire back to the Captain Swift Inn and enjoy the comforts of all the common areas, decks or the privacy of your guest room. This itinerary is just a suggestion. There are many things you can do. We wouldn’t even hold it against you if you chose to lounge around the Inn and read a book. Either way, it will be our pleasure to assist you in having a relaxing and rejuvenating vacation in Camden Maine. The winter season in Camden has been delightful. We enjoyed staying warm near the fireplace and sipping hot chocolate. At night our guests enjoyed live music at the Camden Opera House and during the day exceptional skiing at the Camden Snow Bowl. But, as the snow starts to melt, and the first crocuses appear, we look forward to warmer days. We have enjoyed talking to future guests about their summer reservations at the Inn. Many mention that they can’t wait to visit the Maine lighthouses and enjoy the lobster. 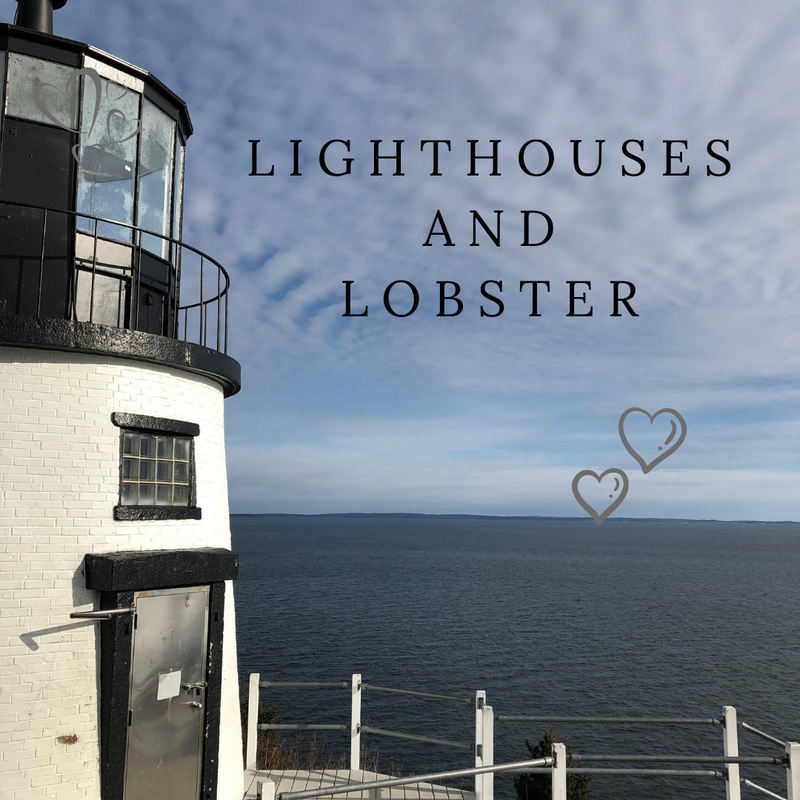 We couldn’t agree more and want to share our lobsters and lighthouses itinerary. The coastal Town of Camden is ideally located near 4 Maine lighthouses and has a plethora of lobster options. How many Maine lighthouses can you see in a day? There are 4 great and uniquely different lighthouses all within 25 miles of each other and from the Captain Swift Inn. Start your day with our romantic and abundant candlelit breakfast. In addition to our bountiful buffet, you will enjoy a fruit plate and a scrumptious main course. After breakfast, either rent a rowboat for yourself or plan to sail on Schooner Olad or Schooner Surprise. The local schooners do not stop at Curtis Island but sail past Camden’s local lighthouse - Lighthouse #1: Curtis Island Lighthouse. If you prefer not to go sailing and want to stay on land, take a short drive to Lighthouse Lookout. Lighthouse Lookout is located in the beautiful residential neighborhood of Bayview Street. Finding Lighthouse Lookout is an adventure in itself. Drive up Bayview Street to Beacon Road and look for the small green sign on a tree. Once at Lighthouse Lookout, there is a short trail to a cliff that looks out on Curtis Island. You will often see artists at this location painting the view. After visiting or viewing Curtis Lighthouse, drive south to lighthouse #2, Breakwater Lighthouse – This lighthouse is a wonderful walk out on a granite jetty. The waterway near the Breakwater Lighthouse is home to many lobster traps. As you walk out to the point you can often see lobstermen motoring between buoys pulling their traps. While in Rockland, add a little lighthouse history to your day, and visit the Maine Lighthouse Museum in the downtown. Next, make your way to lighthouse #3 Owls Head Lighthouse - enjoy the view and walk around the nearby park. Last but not least - head down to Port Clyde to see Lighthouse #4 - The Marshall Point Lighthouse. This iconic Port Clyde lighthouse was featured in the famous movie “Forest Gump”. Finish the lighthouse tour with an old fashion lobster dinner at Miller’s Lobster Pound. Return to the Captain Swift Inn and relax. At the end of your lighthouse and lobster day, you will have lots of pictures and stories to share with your friends on Instagram and other social networks. Grab a drink, sit by the outside fire pit, compose your posts and share away! We knew the minute we arrived in Camden that it was a special place. Now that the renovations are finally completed, we are able to relax in this beautiful 1810 colonial Maine home. We look forward to meeting new friends and helping guests plan memorable moments. When we owned The Andrie Rose Inn in Vermont, we enjoyed hosting travelers that were celebrating milestone occasions, as well as those who were just eager to get up on Okemo Mountain and enjoy a fantastic day of skiing. In the morning during breakfast, it was fun to help guests plan their day and suggest ways to celebrate in Ludlow and surrounding towns. That is one of the reasons we chose Camden for our re-entry into innkeeping because it provides a fantastic backdrop to any special moment. 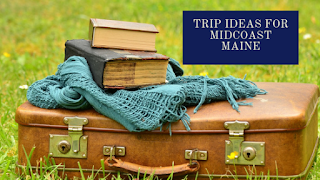 Small quaint restaurants, a quiet seaside harbor, historic opera house, boutique shops, and comfortable accommodations in a Camden Maine Inn, all set the stage for a unique or romantic getaway. The coastal town of Camden Maine is alive in the winter and welcomes guests with fun Maine events and traditions. From ice sculptures, toboggan championships and skiing at Camden’s Snow Bowl, there is something for everyone. Camden is an ideal getaway for Valentine’s Day or any time of the year that you want to celebrate a romantic occasion. The Captain Swift Inn is centrally located to all Camden activities. You can leisurely stroll to dinner, the harbor, Camden Opera House and the shops. The Camden Snow Bowl is just 3 miles away. Among the many romantic places in Camden Maine are the mountains and the sea. You can sit by the harbor and watch a sunrise or go to the top of Mt. Battie in Camden Hills State Park and watch a sunset. You can see the ocean when you ski at The Snow Bowl. You might just choose to sit in one of our comfortable common areas and enjoy a glass of wine or relax in your room by a fireplace. Candlelit breakfast and Our Valentine’s Day Package which includes a 375ml bottle of Schramsberg Blanc de Blanc; a box of 12 locally made chocolates and a petite arrangement of six roses, is a nice addition to any of your plans. After your 3 course breakfast at the Inn, start your journey with a with a hike up Mt. Battie to get a view of Penobscot Bay or head to the Camden Snow Bowl for a morning of skiing. In the afternoon relax in a fun and cozy pub – The Drouthy Bear. Come back to our Camden Maine Inn, relax and prepare for a night out. Nightlife includes quiet restaurants, to karaoke, to a show at the Camden Opera House. Check out our calendar of events to see what is happening during your stay. Learn more about romantic add-ons and packages. Book your stay now. For our guests who are planning a proposal, please let us know if we can assist with any of the details. Mid Coast Maine is known for romantic proposals and weddings. Some of our favorite winter proposal spots are the Breakwater Lighthouse, Beauchamp Point and Laite Beach. The top of Ragged Mountain, reachable by the ski chair lift is breathtaking with its view of the ski slope and the ocean in the distance. 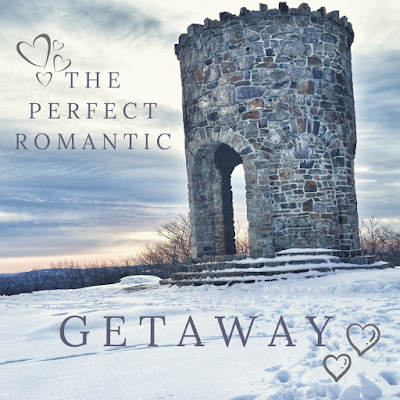 Many have chosen Ragged Mountain to pop the question. Our favorite Camden Winter proposal story is about a man who asked his friends to ski down Ragged Mountain at dusk with him, all carrying lighted torches. The man and his friends skied back and forth. We are told it was a magnificent sight. At the bottom of the slope, his love waited for him. The man presented the woman with a small box that held an engagement ring and asked her to marry him. They celebrated 60 years together. Camden is a special place. 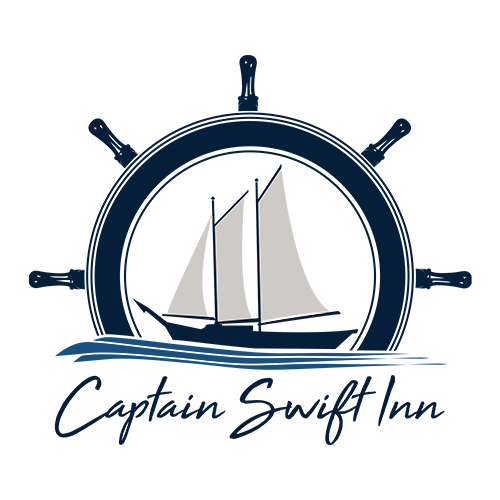 The Captain Swift Inn is pleased to be your accommodations this Valentine season.